A few weeks ago, I threw a baby shower for my sister in New York. 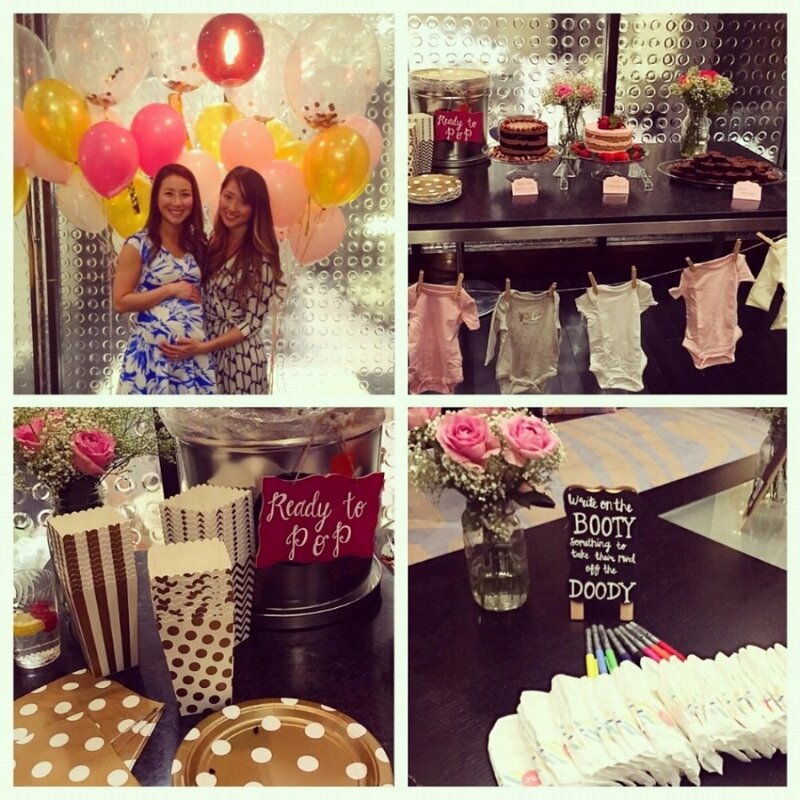 I love love LOVED putting together this adorable baby shower that was pretty much straight out of Pinterest. And, being the super aunt-to-be that I am, I also prepared most of the food we served. This, of course, meant that two things: 1) Our favorite foods, including healthy faves, had to be included and 2) There would be an overabundance of food - duh. The final menu consisted of two types of frittatas, a bagel bar (Zucker's Bagels - YUM! ), kale and brussels sprouts salad, smoked salmon, crudités, fruit plate, RFK's signature brownies, and two cakes (paleo strawberry cake and grain-free nutella cake). We served frittatas because they are so easy, healthy, and customizable. We had some guests who were dairy-intolerant so I made a veggie frittata that was loaded with peppers, onions, leeks, and spinach and made with coconut milk instead of dairy. The second frittata was our household favorite - my mother-in-law's recipe for onion and leek frittata made with cottage cheese. They were amazingly delicious, filling, and such a hit with the crowd. Frittatas always seem like a fancy brunch meal that takes a lot of effort, but the only real hands-on part is cooking up the veggies and then the oven takes care of the rest. Pretending to be a fancy-pants cook when the meal only took 10 minutes of active cooking and you idly Snapchatted away while the dish baked away in the oven? That's just real life. This recipe for Paleo Pizza Frittata incorporates simple, clean ingredients that maximize pizza flavor. Because, I mean, if every meal can't be pizza, it should at least try. So that's what I was going for with this frittata and I clearly nailed it because my husband and I INHALED it with the vigor that we typically reserve only for pizza (the whole 8 servings were gone in less than a day by the two of us so yeah..). Whether you're looking for something to serve up for brunch, meal planning for the week, or just need a healthy pizza fix, make this frittata and thank me later. Preheat oven to 375 degrees. Grease a 9 x 13 pyrex or baking dish with coconut oil or ghee and set aside. Heat a skillet over medium heat. Add coconut oil to the skillet. Add peppers, onion, and zucchini to the pan and sauté for 3-5 minutes until the vegetables are softened. Add mushrooms to the pan and continue to cook for another 2-3 minutes until all of the vegetables are slightly browned. Let cool. In a large bowl, add the eggs and egg whites and whisk together. Add pizza sauce, seasoning, cooked vegetables, and shredded mozzarella (if using) and stir mixture. Pour mixture into prepared pan. Bake at 375 degrees for 25 - 28 minutes until the edges have lightly browned and the frittata has fluffed up a bit. Let cool for a few minutes before cutting into 8 servings. Enjoy! NOTE: I used additional egg whites because I wanted extra protein and I had a bunch of egg whites on hand from baking. HOWEVER, I do NOT believe in wasting yolks (they're so good and good for you!) so if you don't have egg whites on hand already, just add 3 additional eggs.